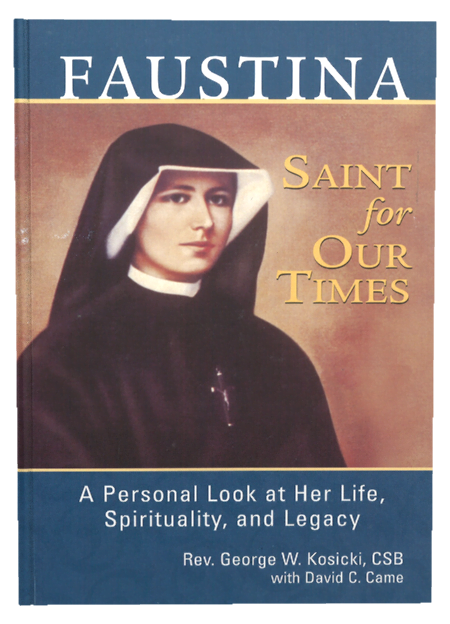 This is much more than simply a biography of St. Maria Faustina Kowalska. In Faustina, Saint for Our Times, Fr. George Kosicki, CSB, explains in a deeply personal and insightful way why St. Faustina’s life, spirituality, and mission are of importance to us today. After writing numerous books based on the Diaryof St. Faustina and leading several pilgrimages to her homeland of Poland, he opens this book with these lines about the great apostle of Divine Mercy, “I want to tell you about my favorite saint, who is important not only to me but to the Church of the third millennium.” In Faustina, Saint for Our Times, Fr. Kosicki first lays the foundation for understanding her life, mission, and spirituality. Then, he explores why she is the saint of the new millennium and how her mission of mercy continues today, especially through the papacies of John Paul II and now Benedict XVI. Father Kosicki concludes by suggesting ways we can respond to The Divine Mercy message and St. Faustina from growing in trust to practical tips on living mercifully. 160 pages, softcover About the Author: Fr. George W. Kosicki, CSB, has written many books on Divine Mercy and compiled publications based on the Diary of St. Maria Faustina Kowalska, including Mercy Minutes with Jesus. Fr. Kosicki is a longtime collaborator with the Marians of the Immaculate Conception in spreading the message of Divine Mercy. In 1987, he headed their Divine Mercy Department in Stockbridge, Mass., which was responsible for editing and proofing the English translation of the Diary.